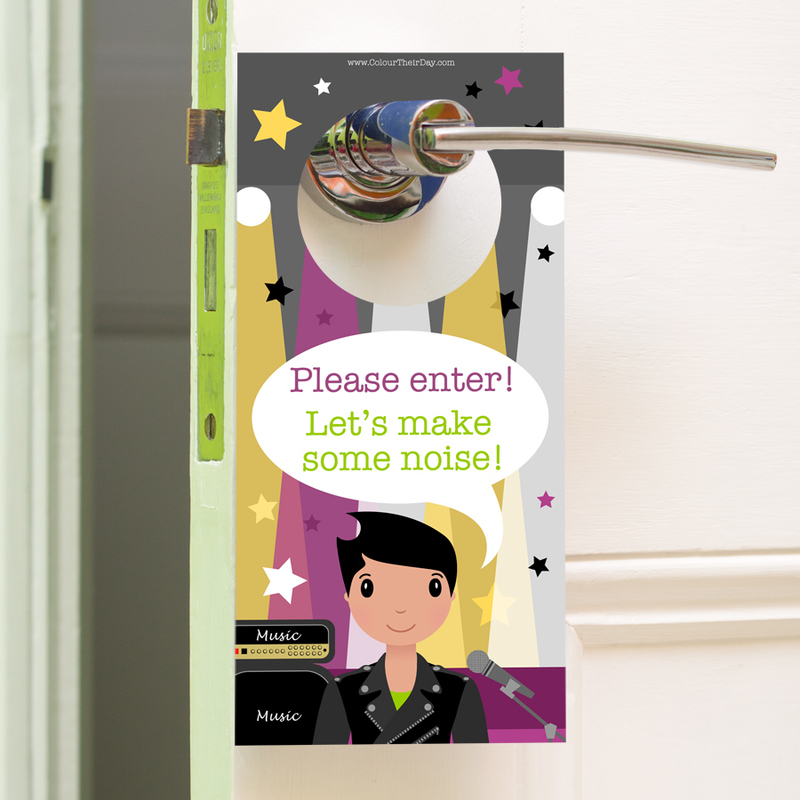 This rock star door hanger is brilliant for any child who loves to make lots of noise! It is fun, colourful and unique so will also make a fab gift. The door hanger is double sided so is very thick and robust. The design features a cool rock star boy, with the text ‘Keep out! Unless you have earplugs!’ on one side and ‘Please enter! Let’s make some noise!’ on the reverse side. 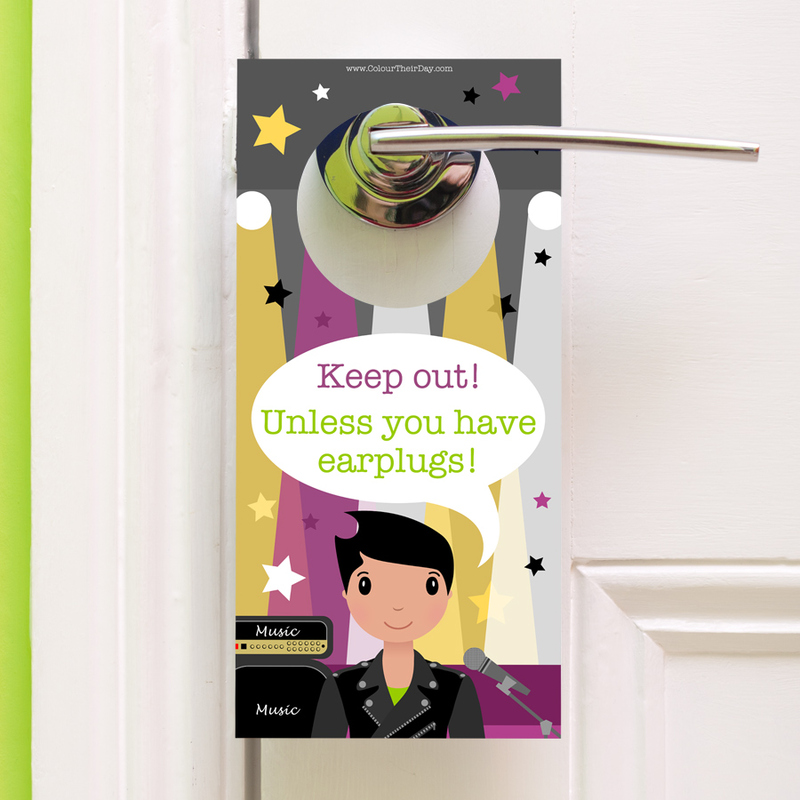 The child will enjoy choosing which side to display on their door, depending what mood they are in. 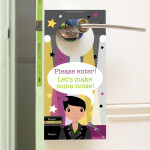 Be the first to review “Rock Star – Double Sided Door Hanger” Click here to cancel reply.